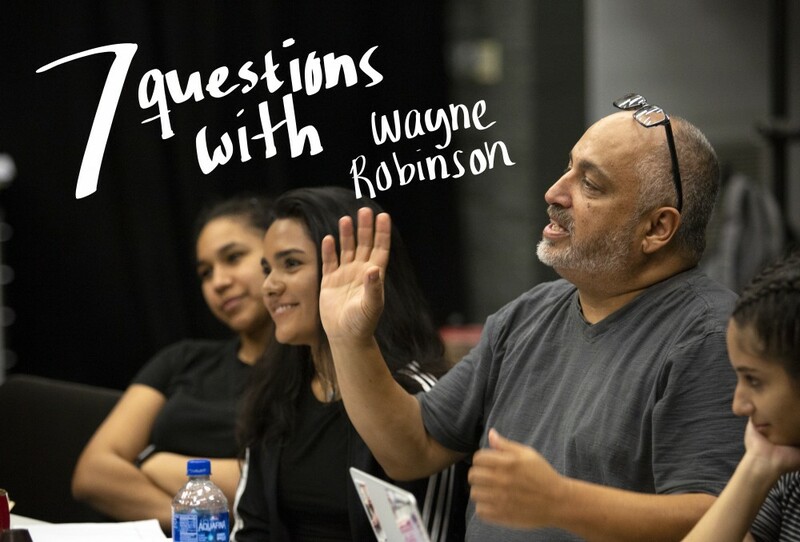 Wayne E. Robinson, Jr. is one of FIU Theatre’s most cherished professors, having been a faculty member since its early days. 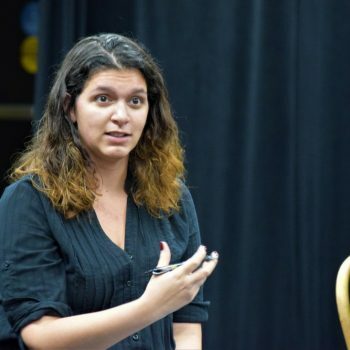 Robinson, a man loves to find humor in the darkest of times, is directing The Suicide, the final show of the 2018-2019 season. 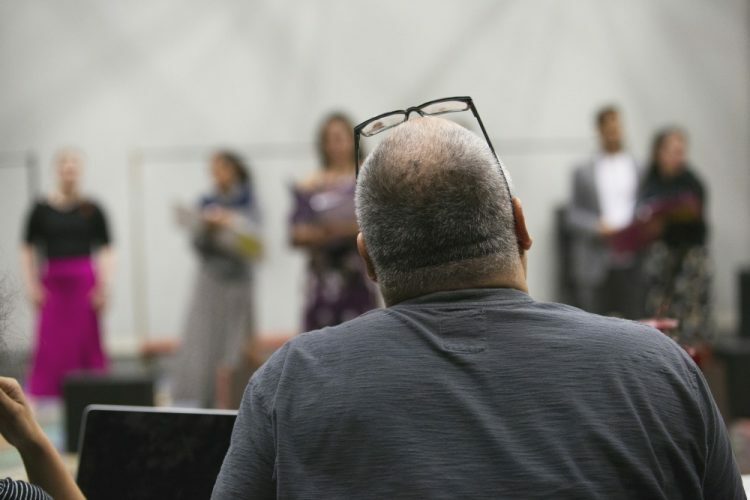 We were able to sit down with him before a tech rehearsal to get to know him better and find out what he’s most excited about for the upcoming show. Ridiculous, stupid stuff. Things that are just unexpected and absurd, but creative. Stupid stuff that seems out of left field. 2. If your creative process was a song, what would it be? I would say it’s like a jazz jam session. I’m not always comfortable being a leader, which is hard because I am the leader. I am confident enough in my knowledge of theatre to know that I have a good general feeling about what we’re doing. But when it comes to the specifics, it feels like I am getting together with a bunch of artists and figuring it out and we’re trying things. And suddenly, almost serendipitously, we find the right notes together. 3. If you weren’t in theatre, what would you be doing? I think I would like to write a column for a newspaper or host a radio show where I interview people. It would be focused on things I’m interested in; I would be paid to be “professionally curious.” If there’s a book out that I think is interesting, I would interview the author. Or if there’s a musician I like or a play I would like to see or a particular political situation that is going on, I would just bring people in and talk to them about it. 4. If you could have dinner with any film actor, who would it be? I love Orson Welles. There’s so much going on in his face that he doesn’t reveal. And he has such a facade of authority and yet such pain. When I saw him in Compulsion, there’s no effort. Almost as if he’s not even trying. I would love to find out, if I had dinner with him, what he does because it’s just a mystery to me. 5. What’s your favorite thing about your job? The students. I love seeing them grow. I feel a kindred spirit with them because I was once that person who had just discovered the theatre and it’s like seeing someone falling in love for the first time. It makes me very happy to see a student achieve something. 6. What do you like about dark comedies? They help you sleep at night. They relieve some of the anxiety of everyday life and they allow you to have a cathartic experience with a lot of dark issues. You say, “I’m not the only one dealing with these horrible anxieties and fears.” And it helps you deal with them through laughter. 7. What can the audience expect from The Suicide? I think that the playwright intended the play to very indirectly show people what was going on in Russia during the time, but without hitting people over the head with it. So the audience can expect to laugh. If they get something else from it, that’s great too. It is very dark and it is very serious, but it is also very funny. Laugh a little in The Suicide which opens on April 12th. Tickets are now on sale. For more information and to reserve your tickets, visit go.fiu.edu/theatre.